Only 93 in stock. Additional quantities will deliver at a later date. 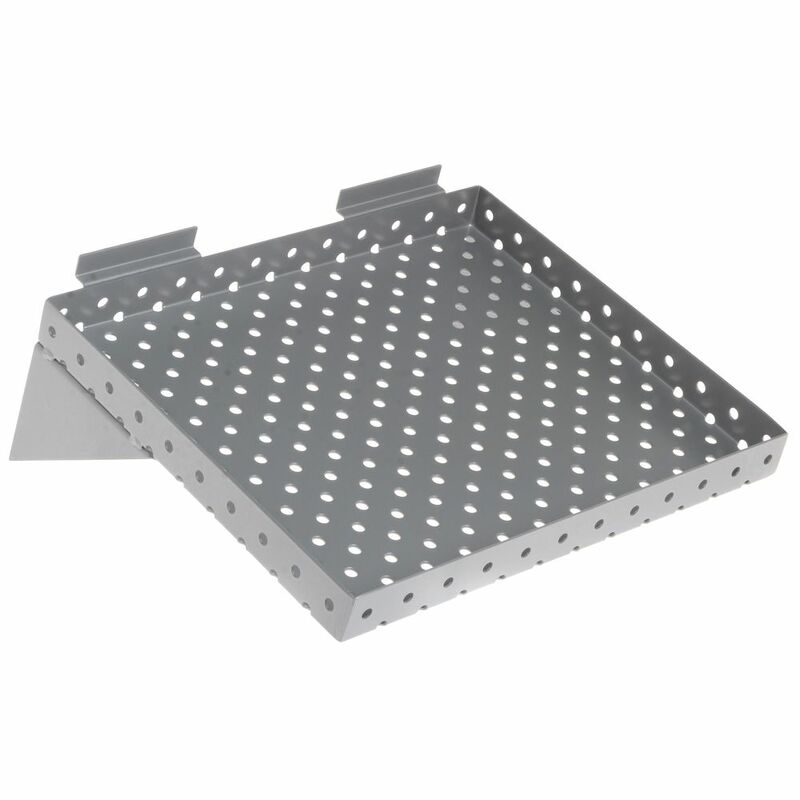 These small perforated slatwall shelves are great for displaying small items. 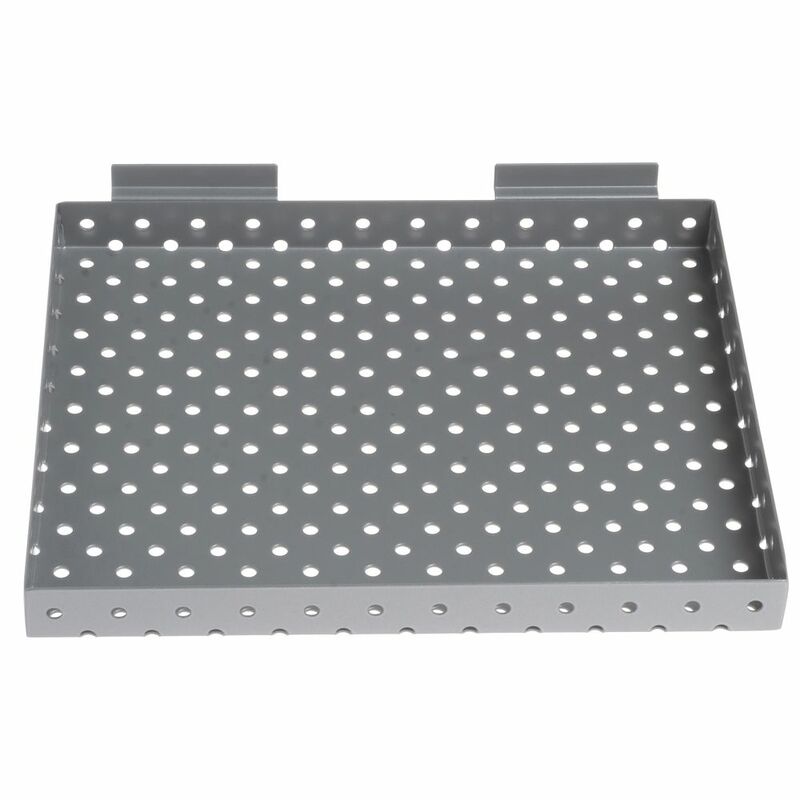 The 1" lip around the edges keeps product in place. Sold in a pack of 2 for convenience. 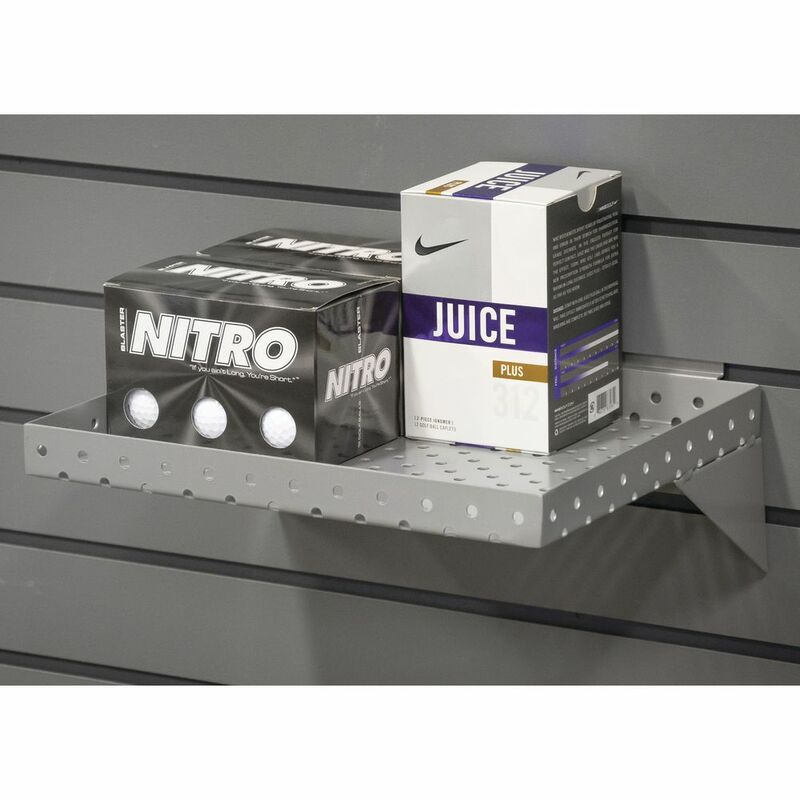 These shelves are designed to fit standard slatwall.